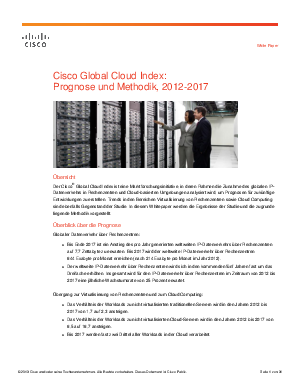 The Cisco® Global Cloud Index is an ongoing effort to forecast the growth of global data center and cloud-based IP traffic. The forecast includes trends associated with data center virtualization and cloudcomputing. This document presents the details of the study and the methodology behind it. Download now to discover more.